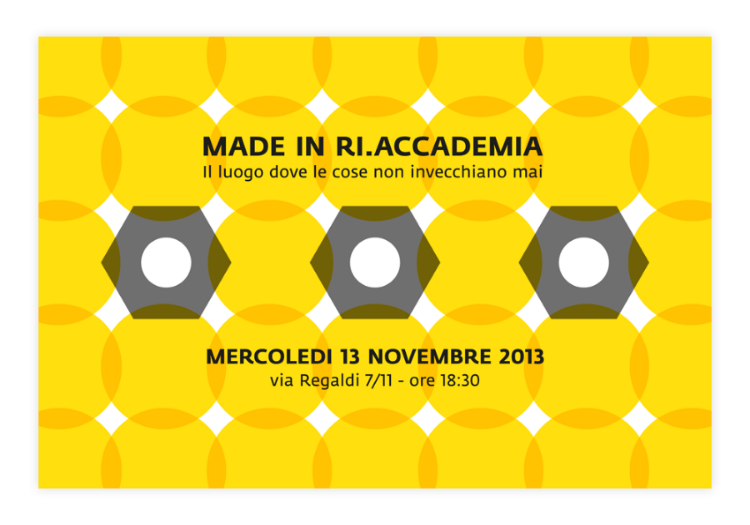 Ri.Accademia is a project aimed at creating a network of designers, artists, artisans, associations and companies in order to develop solutions for the construction of an efficient chain of reuse. 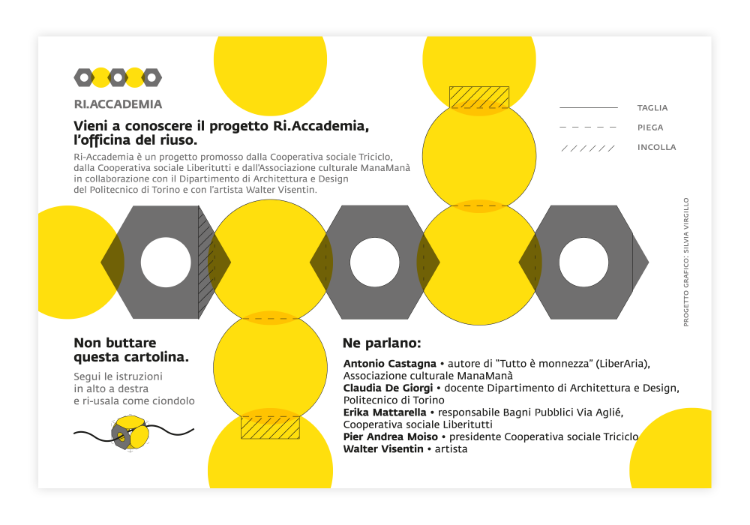 The project's target is the creation of a space-lab, where meet, discuss and work. 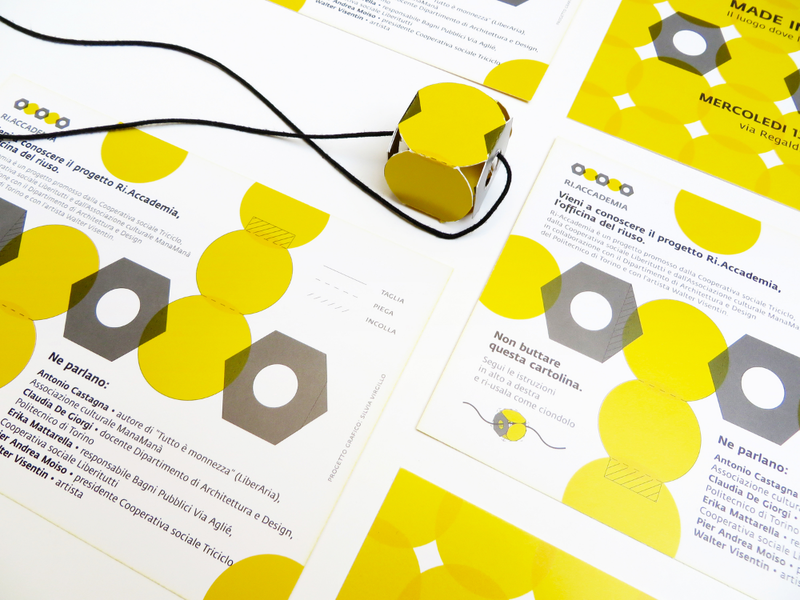 To communicate the inaugural event, a reusable postcard has been designed: following the instructions, the card becomes a three-dimensional object that reminds the logo, to be used as a paper pendant.